I am the mom of a 5 year old, so that means I am on the go a ton. I always carry multipurpose wipes in my purse and my car, because you just never know what my boy will get into. 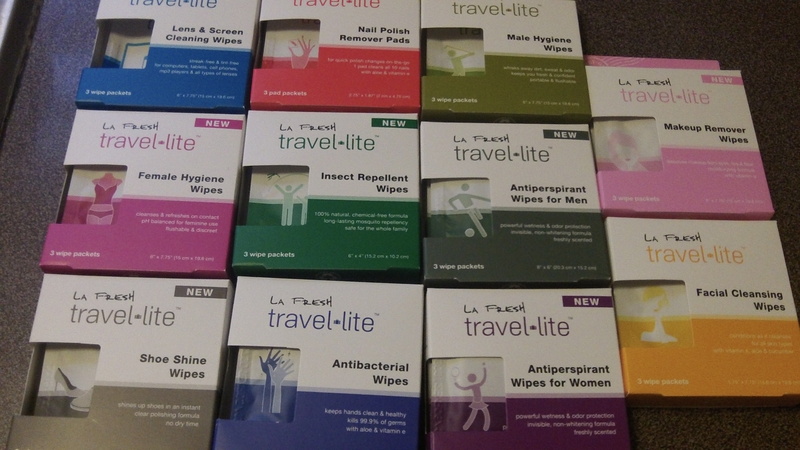 So, I was very enthused about trying a selection of travel wipes from La Fresh! La Fresh offers a wide variety of different beauty, travel, and pet wipes for almost anything you could think of! La Fresh makes a difference in people’s lives through its performance, convenience and conscientiousness. Our products are designed with exceptional ingredients and packaged to deliver chic style with less substance making the world better, brighter and more beautiful for all of us. I was lucky enough to get to try a little of everything. Some of the types pictured: Nail Polish Remover, Antiperspirant for Men & Women, Lens Cleaning, Shoe Shine, and Insect Repellent wipes. Though the wipes are neatly folded into small, easily portable packages, they are still a very nice size. One wipe covered my hand and then some. Let me tell you about my fave La Fresh wipes! I wear glasses on occasion, and I am also always glued to my Nexus tablet or computer screen, so these were the first wipes I used. They are some of the best screen cleaning wipes I’ve ever used. 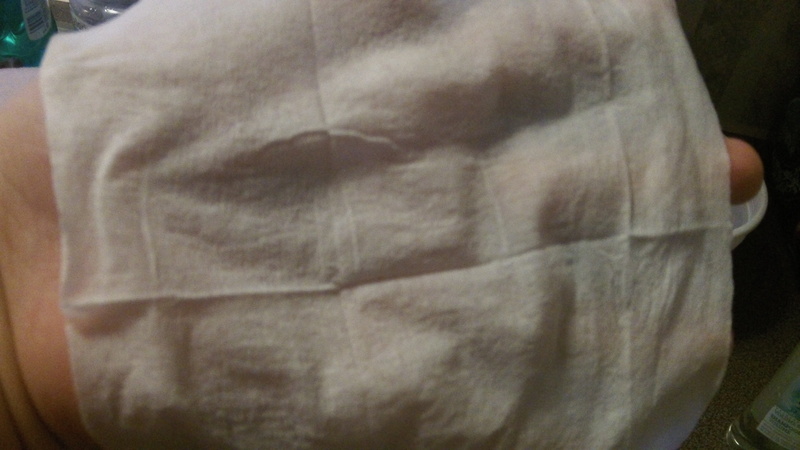 The wipes clean in one wipe and leave no streaks or lint. I used one wipe to clean my glasses, then also used it on my Nexus! No one likes taking their nail polish off, but this wipes is a great alternative to the traditional bottle of remover and cotton ball method. There is no danger of spilling, and though these wipes do contain acetone, the smell seemed less severe to me than that of bottled polish remover. Plus, isn’t it great to have these in your purse for polish emergencies? As I mentioned, I have a boy and that means being ready to clean him up at a moment’s notice. I love antibacterial wipes because I know he is getting clean even when we don’t have access to soap and water. He loves fishing and baseball, and I know we will be using a lot of antibacterial wipes come this spring! Visit La Fresh to see all varieties of wipes offered, and to learn more about the company’s eco-conscious methods! You can also see more on their Facebook, Twitter, and YouTube pages. **DISCLAIMER: I was offered free products in exchange for this review. Nevertheless, this does not affect my opinion, and the thoughts, words, and pictures in this post are my own. Posted on January 7, 2014, in product review, Sponsored. Bookmark the permalink. 2 Comments.